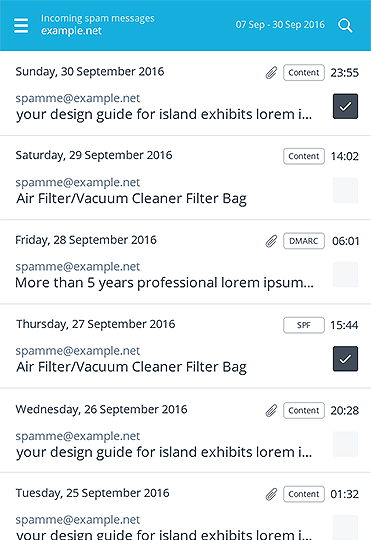 The SpamExperts Quarantine App, available for Android and iOS gives customers access to manage their email quarantine for both the Incoming and Outgoing Filtering services. Designed for users with Super-Admin, Domain, or Email-user access level to a SpamExperts account, SpamExperts App simplifies quarantine administration while on the move. The App allows the Super-Administrators / Domain / Email users to handle their quarantine directly from their phones. 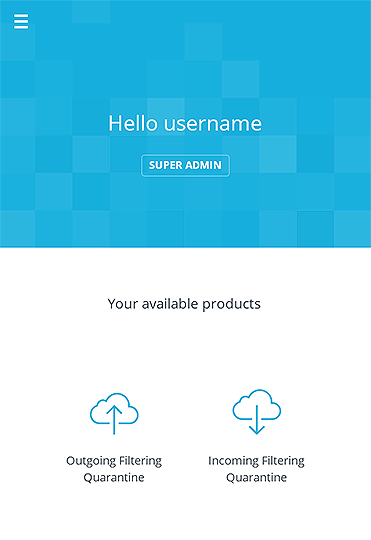 The first screen after Login will show you the User name, level of access, and the products that are available. 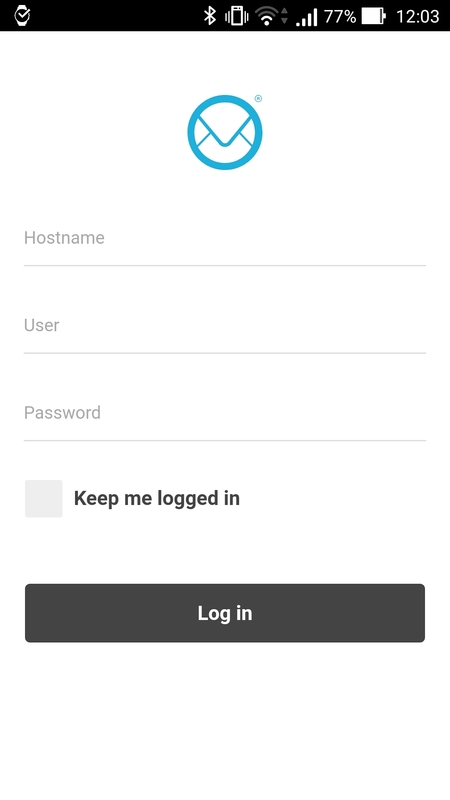 From here, using the top right hand menu button, you can access the screen with your details, available products, and the Logout button. Also from the Start Screen, you can select the product that you want to manage by simply tapping on the Outgoing Filtering Quarantine or Incoming Filtering Quarantine icons. If you tap on either of the products, the quarantined messages for that product will be shown. The Quarantine view is the same for both the Incoming and Outgoing products. You can view the message as Plain text, Normal or Raw, which means you will see the headers of the message. 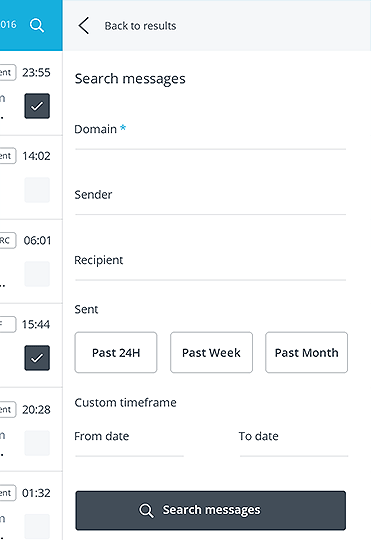 Whitelist and release - This action will remove the message from the Quarantine and send it to the recipient and it will also add the sender address to the whitelist. This action is only available for the Incoming filter. Blacklist and remove - This action will permanently remove the message from the Quarantine and also add the sender to the Sender Blacklist. The action is only available on the Incoming Product. 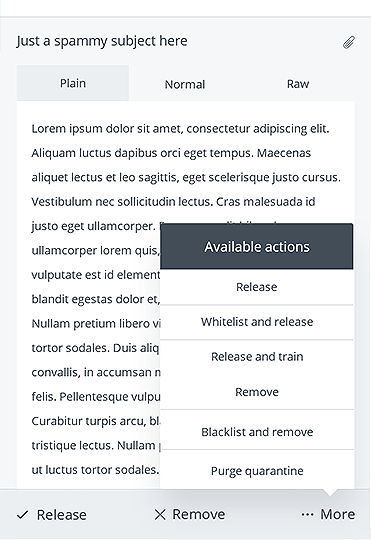 Purge Quarantine - This action will remove all the messages from the Quarantine.